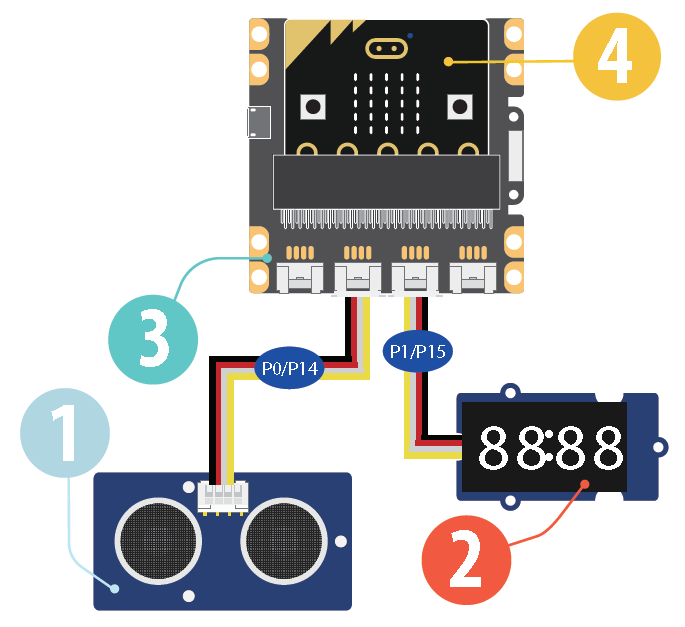 The output voltage of micro:bit is around 3.0V, use microbit or AA battery to power the circuit may cause malfunction of Grove modules which requires high input voltage and drive current(e.g Grove - Ultrasonic Ranger). 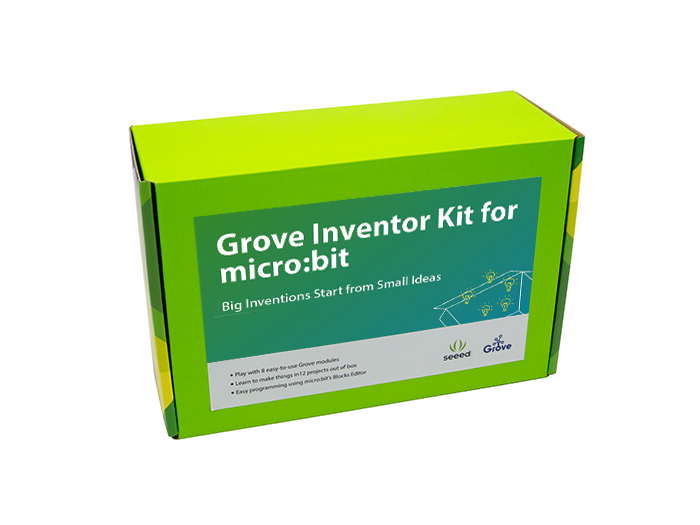 In order to make these kind of Grove function well, please use the micro-USB port on Grove shield for microbit to power the circuit. 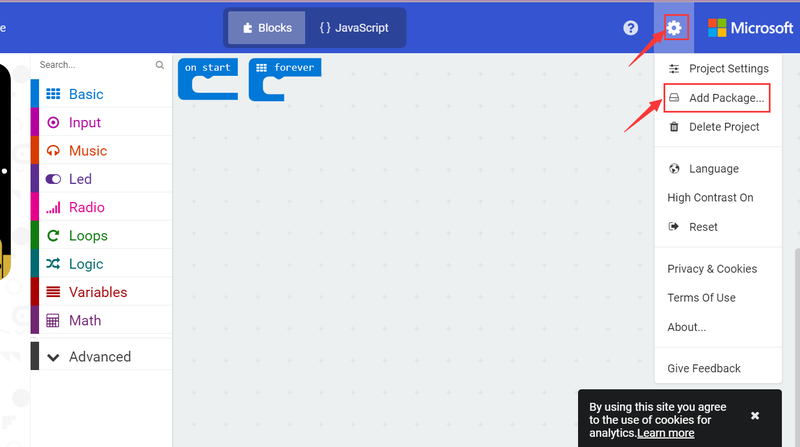 Add Basic block show string and embed it into the Gesture block.Then double click "Hello! ", change it to "Right". 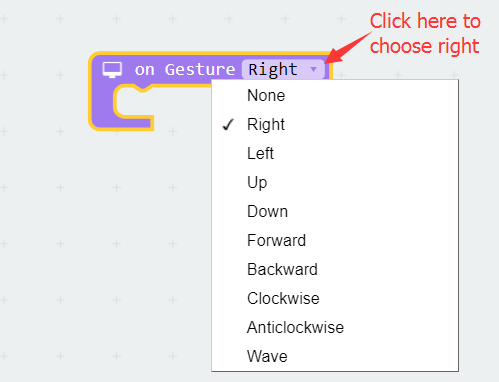 Add "Left" and "Clockwise" the same way, and embed show icon into "Clockwise". 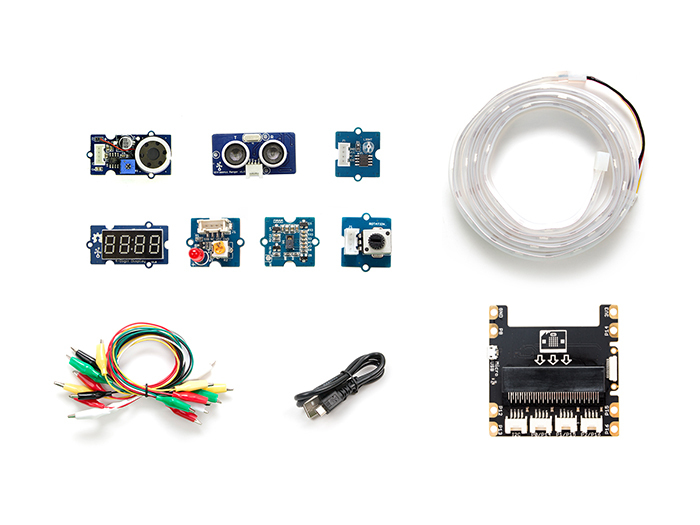 When you finish all this above, rename the project "gesture". 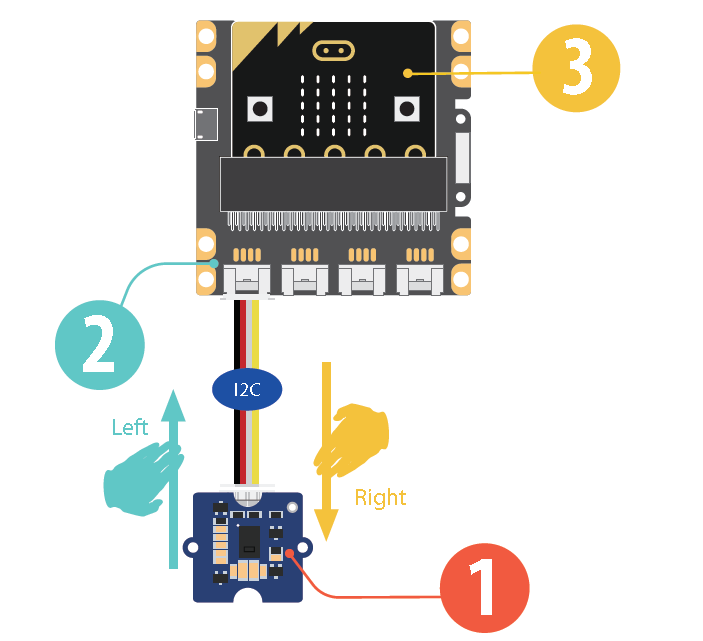 Then you can download the project to your board. 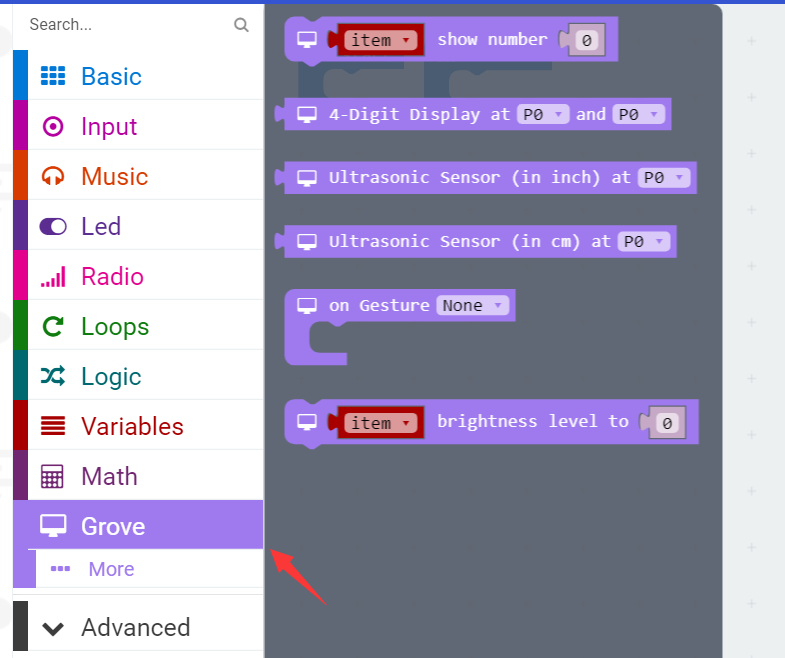 Click Download in the Bottom left corner, download the file microbit-gesture.hex into the flash of MICROBIT. You can find the blocks by color. 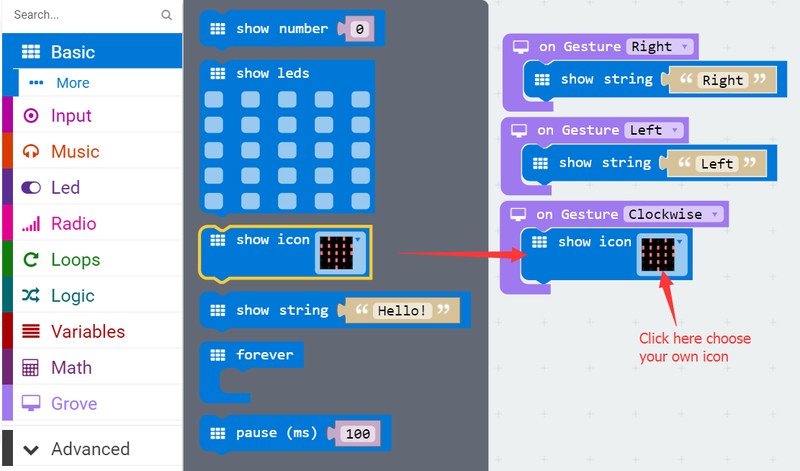 For example, if you don't where show icon is ,since it's blue and the Module Basic is blue,you can find it here. Simple and effective, isn't it? !! !warning please make sure the LED Array is faced up when you plug the micro:bit, or you may damage the board. Rename the project "Ultrasonic Meter", download and enjoy.